OLD PARKED CARS. : 1987 Mitsubishi Starion ESI-R Turbo. great find. the street view is so satisfying. 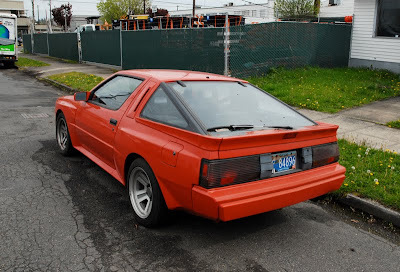 In case you didn't know ... the next generation of this car is what became the EAGLE TALON / PLYMOUTH LASER / MITSUBISHI ECLIPSE. 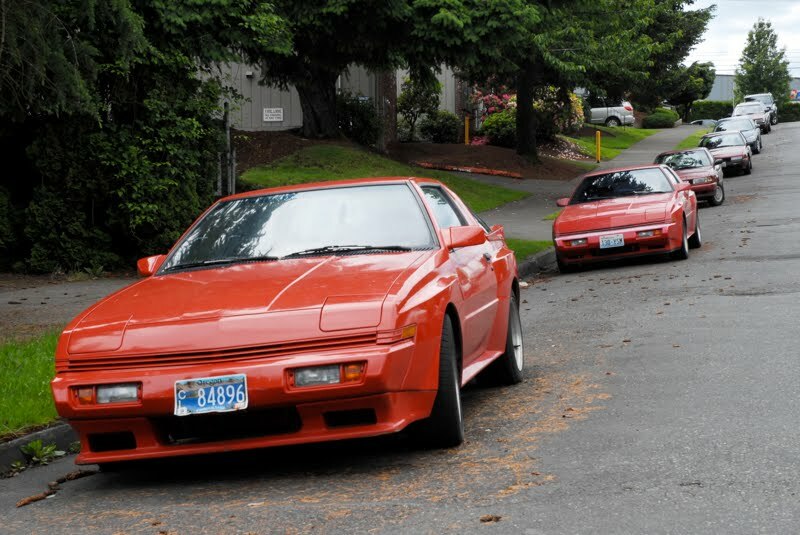 Beginning of a dynasty. Badass jap machine. Sidebar - This is the first time i've ever been compelled to comment on a blog. You've hit on something special here. Amazing concept. BTW, fantastic car, never found anything driving like this one. Big hero from hard economic times. 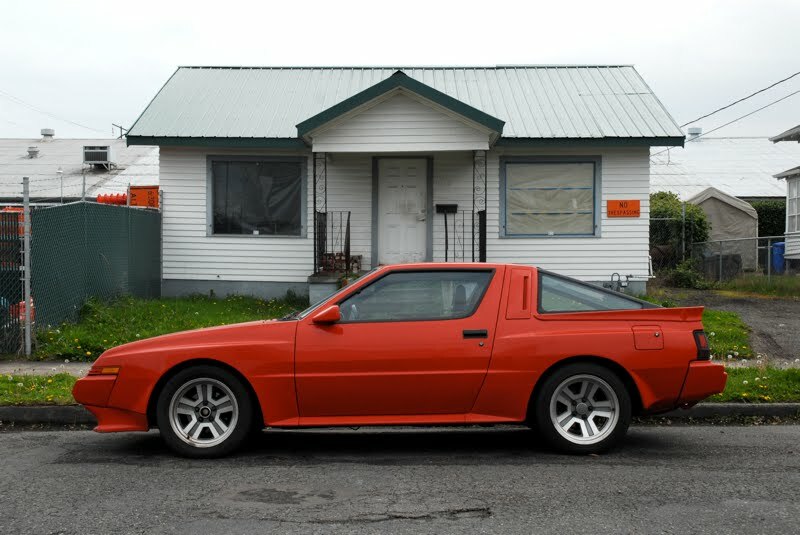 Thank you for clarifying that Starion Owner, for all the Starion owners out there. 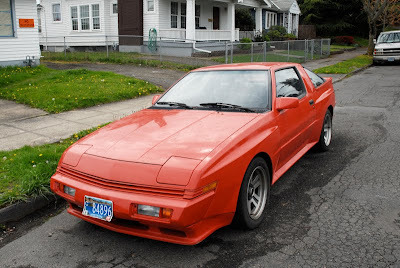 The Mitsubishi Starion was, IS a legend. A fable only brought back to life by previous owners and new owners that know its epic story. 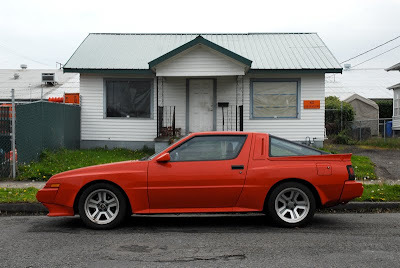 No need to be negative, Iv’e owned a Starion for 22 years and am still finding out things about me t. I’m pretty well acquanted with Pontiacs, but also had it handed to me by a firebird expert who rebuilds them. Its pretty easy to not know what your talking about.